To meet customer wishes IC-Meter has updated the public API regarding specification of time horizons for requests as well as a simplified JSON output format, making it easier to import data in e.g. Excel and PowerBI. This update does not affect existing requests. Rather than always being required to specify start and end time for data it is now possible with the new update to specify periods such as ’10-min’, ‘1-hour’, ’24-hours’, ‘1-week’, ’30-days’, ‘1-month’ or ‘1-year’, in order to simplify the procedure for customers making frequent requests when they always are interested in the latest data. When specifying the period ’10-min’, the latest data from the last 10 minutes are fetched. If a long duration is specified the response times may be long, as many data points are fetched. The existing JSON output is formatted as done by ‘google-visualization’, and produces a low overhead. The trade-off is that it is complicated to parse. With the update it is now possible to choose a more ‘simple’ JSON format, which is easier to parse with analysis tools such as Excel or PowerBI. A brand new concept that works as a Plug ’n Play focuses on indoor climate and energy on workplaces, in schools and in homes. The name is IC-Meter – Indoor Climate Meter. A good indoor climate is essential for our health and well-being. The problem is simply that the indoor environment is rarely measured nor visualized. A little strange considering the fact that the world population lives a large part of their life indoors. For Northern Europeans as much as 90% of the time is spent indoors. It is a fact that indoor climate in schools, homes and on workplaces often borderline the required needs and recommendations. This influences on our well-being and on our abilities to learn and focus. Therefore, there are many good reasons to visualize the indoor climate and to get documentation on temperature, humidity, CO2 and air turnover where we work and live. -Has the builder delivered the agreed technical energy savings or are the disappointing results due to changes in indoor climate and user behavior? The IC-Meter concept is developed to handle both challenges and act as competent umpire. Indoor Climate Meter (IC-Meter) visualizes and analyses indoor climate in a room or a building. The IC- Meter concept is comprised by a data measurement device, a server and website with APP client for mobile units (IOS/Android). The meter device delivers accurate information for temperature, humidity and – as a new feature on the consumer market – it measures the level of CO2. Measurements are uploaded to the server every 5 minutes, via client’s own WiFi/Internet. The server retrieves automatically local weather forecasts for any place on Earth. The users gets it all presented on their PC and smartphone. At the same time, data is saved – the “black box” of the building. Click on www.ic-meter.com for more info on IC-Meter. Here you can view the current indoor climate at Dansk Byggeri, DTU, Dansk Standard, CBS, Insero/Horsensfonden and in an office in Spain, etc. Product and Marketing Development in a large prestige project with participation of real users! These are a few of the possibilities that the company, IC-Meter views by participating at Insero Live Lab – a large and alive laboratory that will be located in the area of Horsens, Denmark. 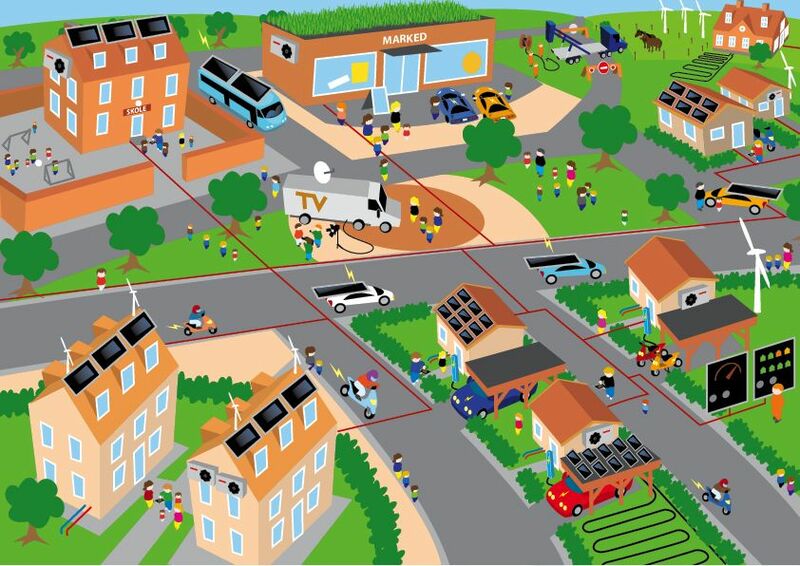 In the new ‘Living Lab’ 25 Danish families will get their homes upgraded as intelligent homes of the future with the newest energy and information technology connected to and controlled by a Smart Grid. The families are going to test these technologies in real live and develop on them together with suppliers and producers. Even minor CO2 concentrations reduce humans’ ability to perform. This is shown by an American study for which the results were published in the journal Environmental Health Perspectives December 2012. June 20st 2013, in connection with INSERO Live Lab, Horsens Folkeblad referred to IC-Meter in an article.